Street parking in front of the restaurant is available after 6pm. The nearest garage is GMC, between Fifth Avenue and MacDougal Street and can be entered via Eighth Street or Waverly Place. West 4th street subway station (8th street/Waverly Place exit): A,C,E,B,D,F and M trains. We recommend traveling at the back of the train if coming from uptown, the front of the train if coming from downtown, to find the closest exit at the station. 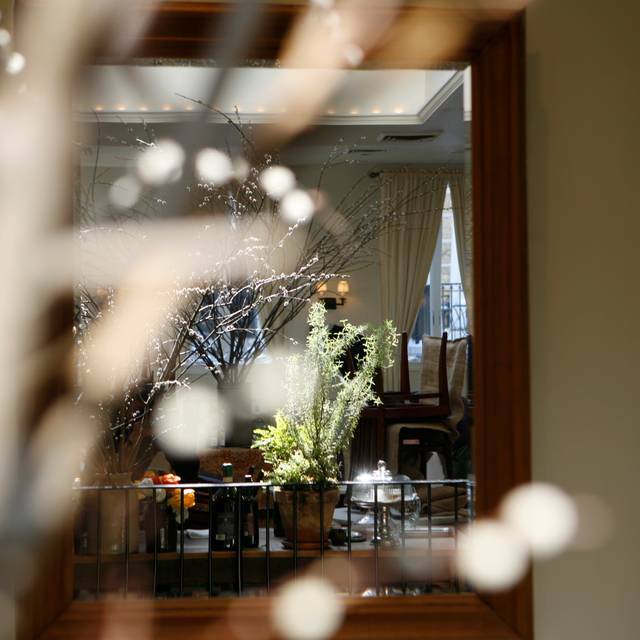 B&B Hospitality Group's flagship restaurant, located on Waverly Place in Greenwich Village, opened to great acclaim in 1998 and is as bustling and popular as ever. 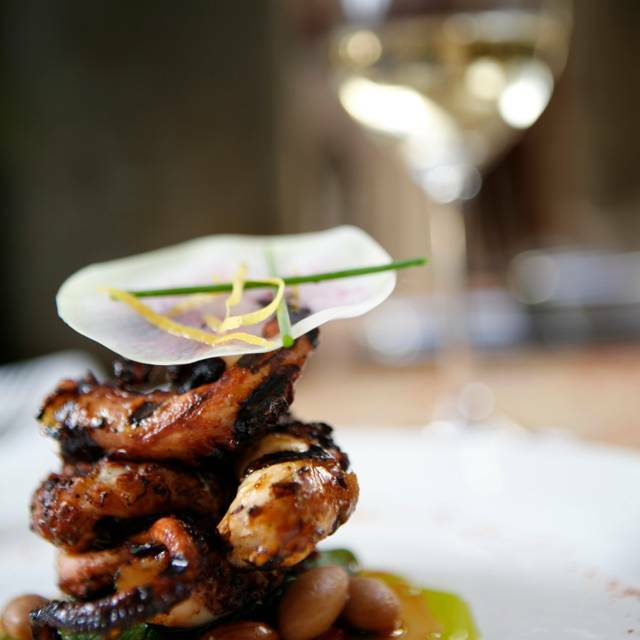 It offers three-star dining that redefines and reinvents the principles of Italian cuisine for 21st century America. An epic, landmark wine list, an exciting, quintessentially New York dining room and expert, attentive and cordial service make a table at Babbo one of New York’s prized possessions. 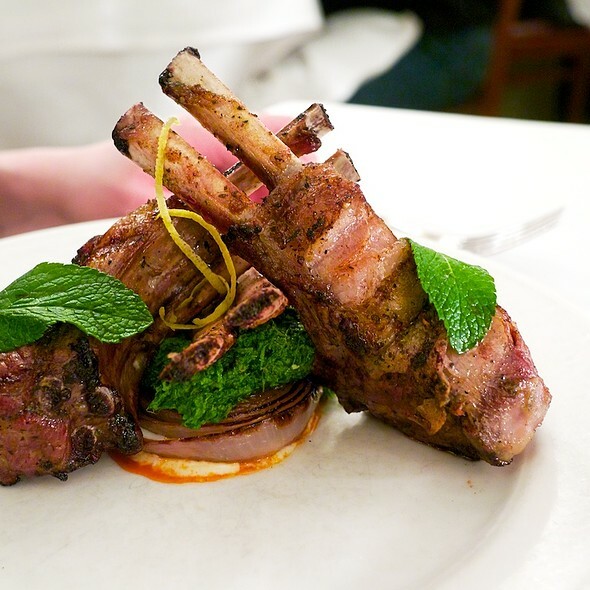 Babbo is still the best place to feel good in this town. This was an Easter lunch and a 30th birthday. Guests were from out of town and absolutely loved Babbo. OMG!! Best restaurant we have been to New York so far! They pay really close attention to detail from the food to the service. The low lighting was relaxing and the throw back tunes they were playing we're very nostalgic. Getting together with friends. It was wonderful food and great time. The service in this place is incredible, very attentive and friendly. Wine lovely will love the choice of wine was huge, like a naughty bible. Started with the goats cheese tortellini and was incredible and was very excited by the rest of the meal because it was really amazing. But after that amazing start the beef cheek tortellini and pappardelle Bolognese were very underwhelming, just a bit flat, felt the pappardelle was slightly undercooked for my liking. The octopus was nice and to my amazement even had my partner eating it who tends to steer clear of any “monsters from the ocean”. The mascaponi cheese cake was lovely but the saffron panacota needed some texture like a salted caramel tweel or something as the only texture coming from the dish was the unpleasant dried apricot. Feel some more thought needs to go into the dishes to elevate them to the next level. Selected some specials, swordfish crudo, artichokes along with several more pasta dishes to share. Rabbit Ravi dish was one of the best I have ever had though we did find a bone in the dish. Beef cheek dish was also outstanding. Disappointed in the lobster dish, very tough. Bucatini was ok, I have had better. Deserts were great and service was excellent. Overall a very good experience but certainly did not do everything as well as I expected. The service was a bit slow, we waited more than usual. The restaurant is very dark which disappointed me because we went to have lunch. So the ambiance of darkness in the day is not very pleasant. I would recommend this restaurant just for dinner or at night because of the light and also the menu looks much better for dinner. Great food in a birthday dinner with my daughter. Fantastic service! Excellent service, festive atmosphere (not quiet but not deafening. Unfortunately, the food was only ok. Even the pastas, a former stand-out here, were only fair. Pork, branzino, and squab ok. Mostly, the food lacked flavor and interest. Cocktails were very good, Bastianich red wine at $45 a bottle also very good. Friends gathering for NYC trip. Great food, service, location, ambiance. The noise level was off the charts and they could have made a better choice for dinner music: Nirvana ‘s greatest, really? We were looking for a really tasty dinner for two to celebrate a birthday. This food was amazing. I’ve never had better pasta.m and the motzarella appetizer ... so good! 100% impressed. Only critique is that it was super loud. Excellent lamb and octupus appetizer. Wine was superb. Wonderful ambiance and service. Great food and service. Each dish explained , delivered as anticipated. All positive. Delicious, classic italian. Chield friendly. No problem sharing dishes. Great service. Had high expectations for Babbo and it did not disappoint. The food was excellent. For appetizers we had the grilled octopus, Mozzarella and the Swordfish special and we were highly impressed with all of them. For entrees we had the beef cheek ravioli, goat cheese tortellini, garganelli and the swordfish and everyone was extremely pleased with their dishes. The wine list was intimidating but there was a sommelier on hand who was very helpful. Overall, the service, food and ambiance were an amazing experience and I would highly recommend. Cannot wait to go back! My wife and I always enjoy sitting at the bar to eat when we visit Babbo. 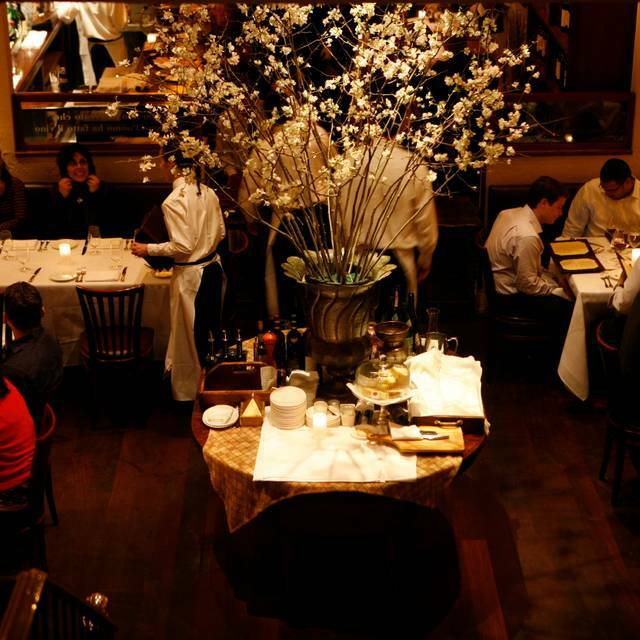 The bar staff is excellent in regard to service and interact wonderfully with Babbo's patrons. We had our in-laws visiting and my father in law has Parkinson’s. I didn’t know there was a second floor in the restaurant or else I would have wrote a note to avoid the second floor. My father in law is 75 years old with Parkinson’s disease and have to use ski sticks to balance his walks. They clearly saw he was not in his best condition to climb the long flight of stairs but insisted we had to sit on the second floor because we didn’t make a special note. The restaurant was not that busy as we took an earlier reservation. It was really disappointing that they couldn’t accommodate an elderly man with a disability. We were happy with the service. All the pasta dishes were great as well as main. My mother in law’s lamb chops were not that impressive. Amazing from beginning to end. Susan is amazing and our Somelier was so great. It’s a special place with a great soul. Food obviously so great. Wait time was a bit long for a confirmed reservation without a real apology or explanation but otherwise fantastic! Server was outstanding. I love Babbo and brought my parent's for my father's birthday. We had a lovely table and excellent service. 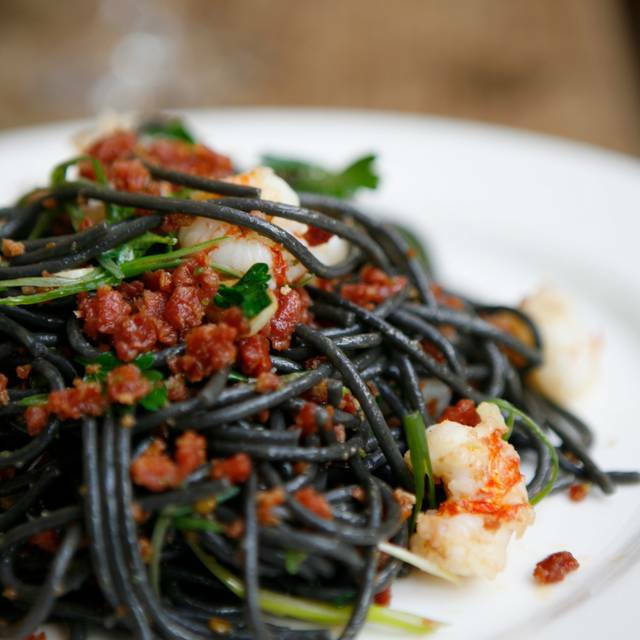 The only negative was that the lobster in my mother's Spaghettini dish was tough/overdone. She didn't want to say anything given the special occasion and that she would've had to wait and is the slowest eater of the family... No accommodation made. Disappointing given the price point, otherwise I would have given them 5 starts. 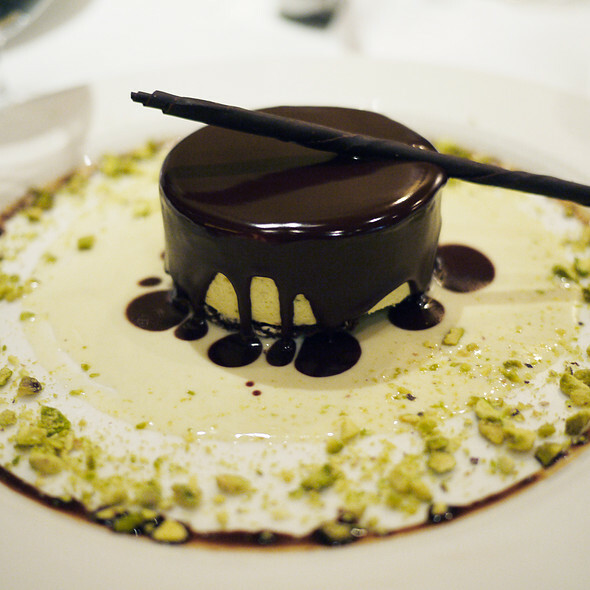 Always willing to splurge when it comes to a special occasion and love to do so at Babbo. Absolutely a 5 star meal! Service was very good and everybody were very friendly. We would definitely recommend this stunning restaurant to others. Well done Team and thanks so much for looking after us! Wow, what a cool place. We ordered the pasta tasting menu and enjoyed an amazing array of delicious food. Service was on-point and we did not feel rushed. Would definitely recommend to anyone looking for excellent Italian meal. No suit or tie required, casual but still elegant. 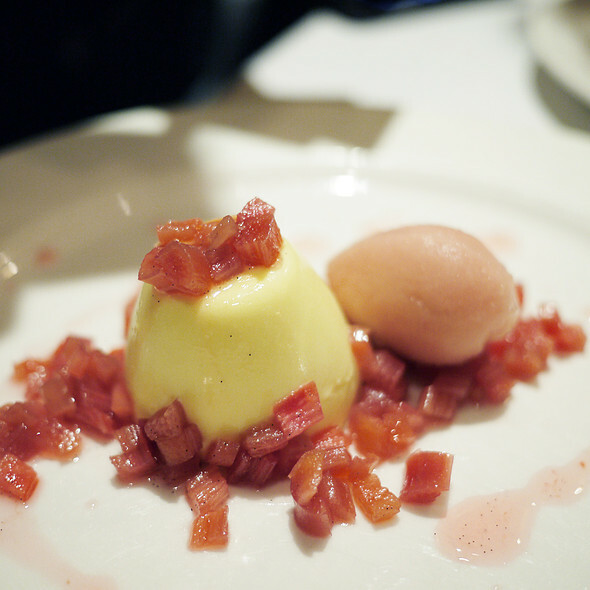 We had been looking forward to dinner at Babbo and our expectations were met and surpassed. We were greeted gracefully, wisked to our table, introduced to our waiter, who picked up on our energy with his fresh sense of humor. The meal and wine choice please everyone taste. The season calamari was as tender as I have ever had and the Branzino was perfectly done and filleted. My husband's steak was outstanding. I went for lunch on a Sunday. They do not have a brunch menu, a bummer. The place is dark, something you don't notice when you dine there. They should have their main restaurant upstairs for lunch as there are windows there. The pasta was good, albeit not the best, but the tiramisu was terrible, we didn't even finish it. I would still recommend Babbo for dinner but not for a Sunday brunch. I was visiting from Dallas so I found it to be very interesting. The food was really good but not like best ever. The wine list was overwhelming? It was basically all Italian wines and I had no clue Italy had so many regions. The sommelier was very helpful though and wine we picked was on point. I really enjoyed the experience. 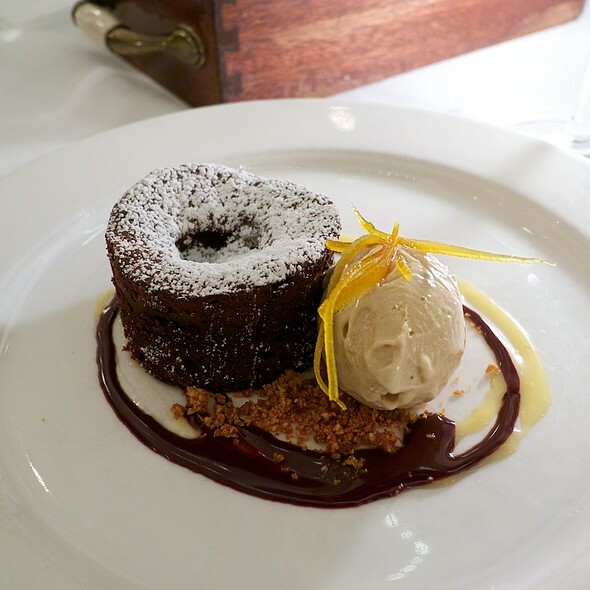 The food was exceptional, the staff amazingly attentive. Great food and service. Lots of energy and interesting people. We liked it so much we went back the next night. Just as good. From the gentleman at the front to our waiter Michael, to the sommelier from Montana, everyone was great. Highly recommend the branzino! The food met our very high expectations but the service was spotty and disappointing. We’ll not be back . The food and the service were great. Unfortunately, they were playing Bruce Springsteen at top volume. We were one of two couples in the room, so we asked to turn the music down, but the manager said no. I don’t consider Springsteen dinner music, especially not when it’s blasting. When the room filled up, it wasn’t as noticeable, but this really made our time at the restaurant not so enjoyable. I have been trying to get a table for years.... now that I got a table, we went and really enjoyed it! Recommended!! The branding and steak were great. The octopus was exquisite. 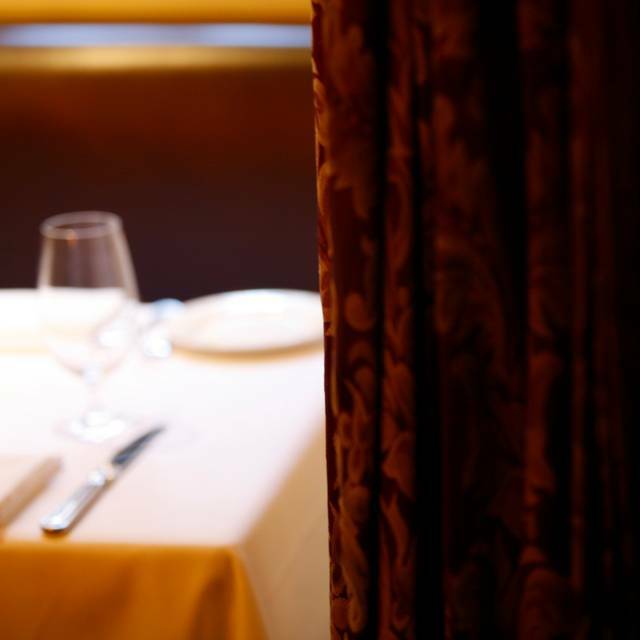 The ambiance is perfect for date night. Nice place but the price is to high compered for what other restaurants give you for the same amount. The Somelier were nice, but on auto pilot. Asked several times for our opinion on the wines, but when given she was super surprised that we commented on the last wine instead of listening to her standard presentation of the next one. The portions is also to big when you do the tasting menu - so you end up way to full - several waiters also commented that most people are "done" after course 5... the point of a good tasting menu is to have it perfect presented both in taste and size. Very friendly yet elegant place. Service is pleasant but not overwhelming. Even if you don’t eat bread, eat theirs! Octopus not to be missed if you eat them at all. Food is rich, kitchen is not afraid of salt but worth it as a splurge. I had a great time last time I was at Babbo and thought I would have a similar experience last weekend. I had two friends visiting out of town and brought them in for one of my favorite Italian restaurants in the city. The food itself was good but the problem was the service. When the waiter came over to take our order, I asked if they have any specials thinking that last time I was here, our waiter explained the menu and specials of the day. He immediately squinted his eyes and condescendingly noted that “ we don’t do specials.” I was surprised and told him about my previous experience to explain why I asked. He still gave us that condescending look/tone and said “we’ve never had specials.” After this unpleasant conversation, he was mostly absent throughout our lunch. He nonetheless tried to sweet talk to us in the end when it’s about time for a check, trying to make up for the lack of service. All in all, my friends and I were extremely disappointed at Babbo, and I will not return since there are other great Italian places in Greenwich village (ie, Don angie, L’artusi, I sodi) with great food and much better service.